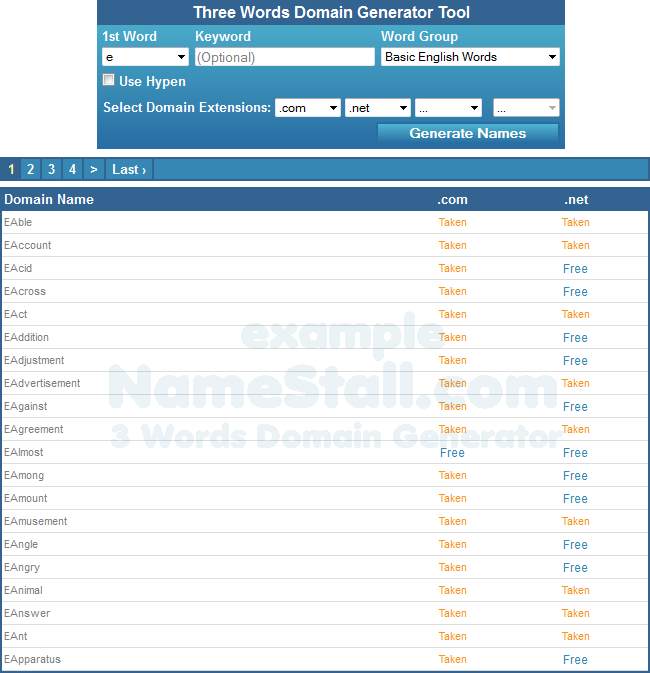 This uniquely developed naming tool will help you to create three words domain name as well as two words domain names. Sometimes it is difficult to find a decent and unregistered two words domain name (with some competitive and very popular domain keywords and website ideas) using conventional web 2.0 domain name generator or website name suggestions tools. In those cases we can easily create some great meaningful and perfect three words domain names using this tool. Let us assume we are going to develop an online gaming website. And �Game� is the word that describes our website well. So our website most important keyword is �Game�. And we want a three words domain name for our new website. First select a first word from the first word drop down list then write your keyword in the keyword field and finally select a word group from word group lists. And finally click on the �Generate Names� button. And let the tool do rest of the job. Features of this tool do not stop here. 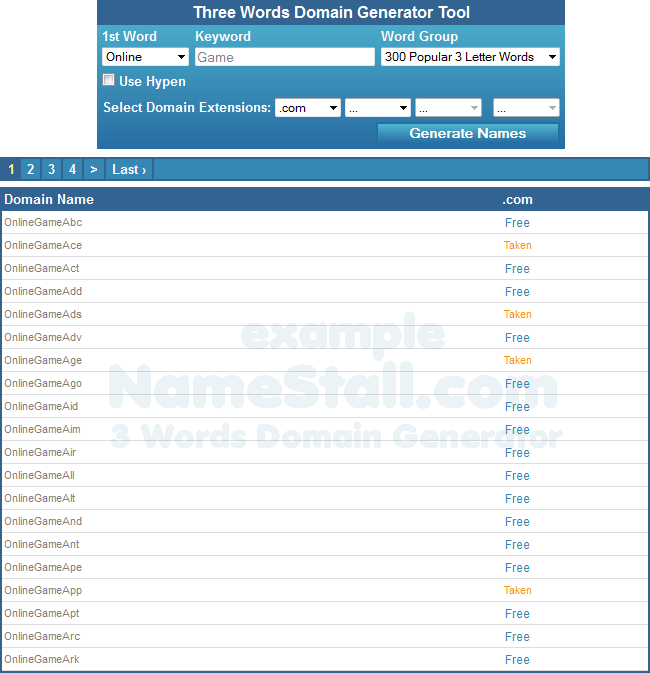 Another great feature of this tool is that it can generate two words domain name using first word and last word group. Let us give an example how it words. Another example - using �E� as first word and �Basic English Words� as word group. Domain search results are provided in the image below. As you can see this is a very interesting and useful domain generator and has many uses. If you spend some time with this tool you will find some very precious and priceless domain names. If you are a serious domainer you will love this tool.